Great distributors understand the value of a strong go to market strategy. From the 30,000 foot view the formula seems simple - buy at volume to gain better margins then ensure you have a very strong sales and distribution model. However parts distribution success can be helped or hindered by the tools used to deliver on this model. The parts distributors we work with today have strong trade customer networks already; our Electronic Parts Catalogue (EPC) simply helps increase the exposure of every part in their range. The rationale of this solution is based on a supermarket analogy – if your customer is looking for a part, and can’t see it on your shelves they’ll likely leave and go to another store to fulfil their needs. Implementing an EPC is like hiring a fantastic visual merchandiser that can present your parts the best way possible 24 hours a day! Clients who use our EPC also take advantage of an additional benefit when using ERA for parts. By utilising part numbers as the link between the ERA parts database and their EPC the maintenance of inventory availability as well as supply and demand data is live up to the minute. 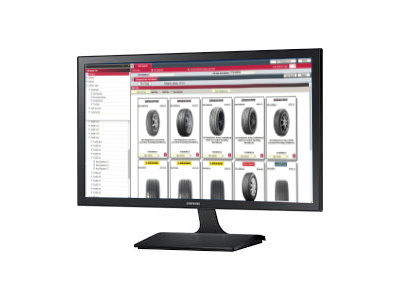 It is this inextricable link that makes this parts sales and distribution tool so powerful. The element that really excites us however is optimising our client’s EPC. Our goal is to make it so easy for your trade customers to buy parts and other supplies from you that they don’t want to go elsewhere. Here are a number of ways you can optimise the road to ordering for your trade customers via an EPC. 1. Provide Less information – Provide targeted inventory availability. Help your client get to the inventory he wants, quicker. For example, if your trade customer is a smash repair shop you can target these clients with paint and panel supplies only. This methodology essentially simplifies the search and sort requirement on the way to the final purchase. Present the inventory that is relevant for the intended user, your customer. Parts distributors know their part numbers, however sometimes their trade customers do not. This is a reality that we can certainly cater for using product images at a basic level and with a greater investment via hotspots. For example, not all black clips or fasteners are born equal so giving your trade customer the ability to inspect these small parts visually prior to purchase can help them order the right part fast making their own job that little bit easier. Hotspots on the other hand take graphical representation to the next level and whilst the investment of time is high the benefits are significant. Distributors who are currently using an Electronic Parts Catalogue are also optimising the trade customer experience with the use of rankings. Some are based on value for money whilst others are based on level of quality. This is an important consideration if you have a mix of repairer and reconditioning trade customers as you imagine a business who is primarily based in reconditioning would more often buy a part that is middle of the range rather than high end. categories, in Australia and New Zealand these are referred to as all-rounder, eco fuel saving, performance or touring. Being able to find a tyre based on the vehicle specifications and end customer preferences whilst using the previously mentioned ranking mechanism will ensure your trade customers feel educated and can recommend the best possible product for their own customers’ needs. 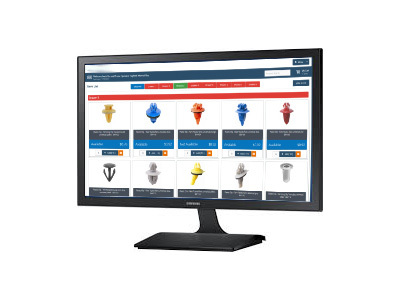 If you want to take the next step in parts sales and distribution within your market we strongly recommend putting an Electronic Parts Catalogue into your arsenal. Remember this hidden gem will focus in on making the path to purchase as quick and easy as possible for your trade customers resulting in strong incremental revenue growth for your parts business.